Sam’s Place is a family oriented restaurant. Our mission is to build community. We promise our restaurant will always be a wonderful place to come for breakfast, lunch and dinner. We are a family restaurant offering quality food at a reasonable price with reliable, friendly service for the whole family. We stand behind are product with a money back guarantee. We offer a banquet room for meetings, child menu and a full beer and wine selection. 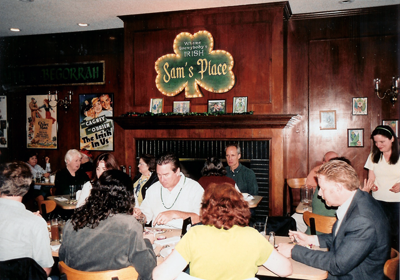 Sam’s Place emphasizes camaraderie and fellowship so everyone goes home happy. You can trust the restaurant will always be comfortable and cheerful. We are open Monday through Saturday from 7:00 AM to 8:30 PM and Sunday from 7:00 AM to 3:00 PM for your convenience.